Summary: When an angel leaves a vessel, a bit of their grace is left behind. Castiel has Lucifer's grace inside him. He has to get it out. Artist notes: I claimed along with another artist, thelastvietgirl this story, Itch, written by Darkheartinthesky. I had fun creating artwork for this story. 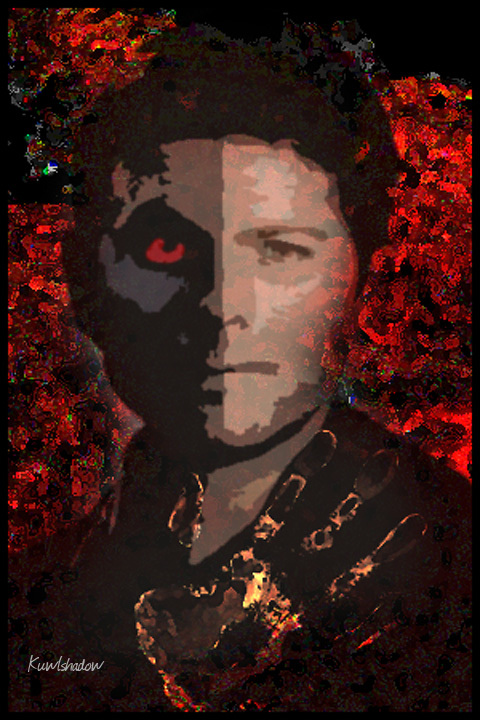 I tried combing Lucifer and Castiel's faces together and the result I feel turned out awesome. . Thanks to the mods for this wonderful opporutnity! That's a great banner, so creepy and different! That looks really cool and scary! Thanks! Glad you love it!